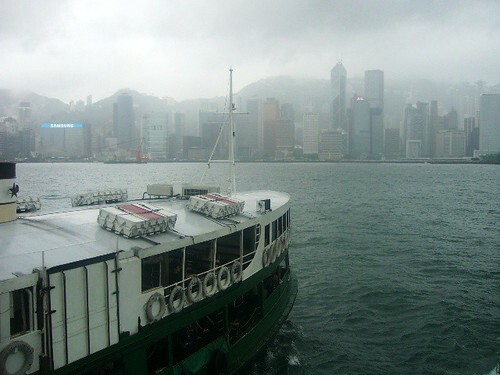 Before I visited Hong Kong, I must admit that my knowledge of the city was a little hazy. I’d heard the food was exquisite and the shopping cheap, so on paper I knew it should be a success. I wasn’t prepared, however, for the sensual overload: countless neon signs that emblazon the narrow, winding streets, and the rich smell of delicious Chinese food that follows you constantly. Air con also becomes your best friend in a city so humid it makes breathing laborious. But, for all its overpowering foibles, I fell in love with the weird and wonderful Hong Kong, where locals ask you to pose for a photo with them and walk the streets with dogs with multicoloured hair. It’s a city that can overwhelm, and it requires a positive go-getter attitude and a solid pair of walking shoes. Luckily, Hong Kong is incredibly easy to navigate, with most of the main sights situated in the urban area of Kowloon in the North and on the lower Hong Kong Island. In Kowloon, you’ll find a general hubbub of daily life, with people welding on the streets and endless markets where you can bravely haggle on already dirt-cheap prices for clothes, handbags and small trinkets. Temple Street night market is open from 4pm until midnight where it’s best, if possible, to turn up as they are packing away; most stall holders will drive up their prices when they see tourists, but will be more willing to concede to a more reasonable price towards the end of the day. The historic Star Ferry has connected Kowloon and Hong Kong City across Victoria Harbour for the last 100 years and is a cheap way (you’re looking at a fare of just 25p) of acquiring a unique perspective of the city’s skyscrapers. The ferry runs harbour tours which are the best way to see the Symphony of Lights, the world’s largest permanent light show. For 15 minutes each night at 8pm, the spectacular skyline over Victoria Harbour comes to life in a light and sound show that symbolises the growth of Hong Kong. 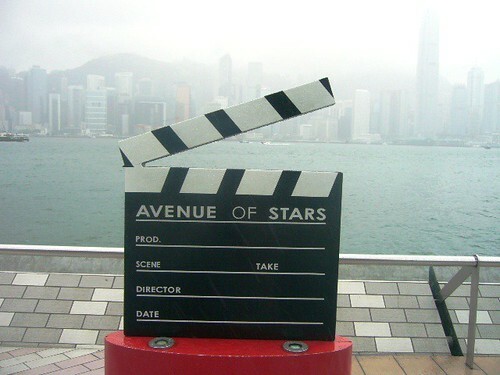 As you approach the Star Ferry’s terminal on the Kowloon side, make sure you visit the Waterfront’s Avenue of Stars which pays tribute to Hong Kong’s silver screen legends, from Jet Li to Jackie Chan. In a similar vein to Hollywood’s Walk of Fame, you can find plaques on the floor embedded with the stars’ handprints, and as a bronze statue of Bruce Lee in a kung-fu stance. On a clear day, it’s also the best place to view Hong Kong Island - with photo stalls lining up alongside the harbour to take a snap of you with the dramatic skyline as a backdrop. 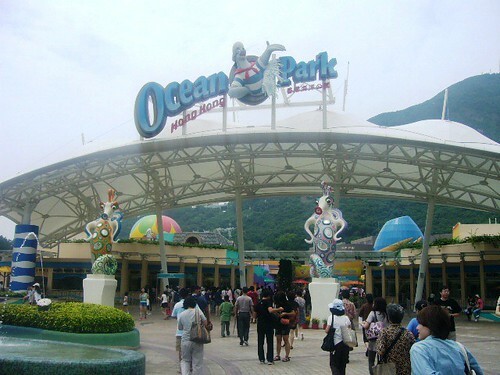 Over on Hong Kong Island, a fun day trip for both young and old is a visit to Ocean Park, which features rides, a zoo and impressive views across the smaller Hong Kong islands. The park is also home to two giant pandas, Ying Ying and Le Le, who were gifted to Hong Kong by central government in 2007 to celebrate the 10th anniversary of the city’s return to China. The park also offers unique animal encounters, which, for a fee, allows you to rub noses with one of the resident dolphins in the water or get up close and personal with the pandas! 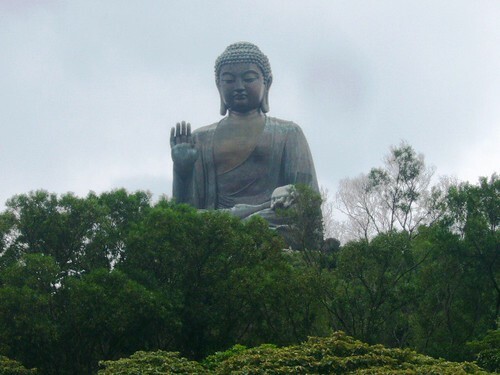 A short ride away on the metro is Lantau Island, home to Hong Kong’s very own Disneyland and the Po Lin Monastery with its 85ft Tian Tan Buddha. The Monastery can be reached by a short coach ride up a steep mountain side or, for the brave, a cable car complete with a glass floor for that all important panoramic view. It’s worth the journey for the luscious vegetarian restaurant at the top (somewhat of a novelty in Hong Kong) as well as the tranquillity – a welcome change from the vibrant city centre. Many visitors to Hong Kong may also decide to venture out to the nearby island of Macau, which is quickly becoming known as the new gaming capital of the world. It’s already massively popular with both Hong Kong and China residents who are unable to gamble in their resident countries. But it’s not just a haven for gamblers; as an ex-Portuguese colony, the island holds some hidden treasures, including the facade of the 17th century Cathedral of St Paul which stands as a reminder of Europe’s influence in Asia. Ideally, try to avoid Macau at the weekend when passport control can set you back up to two hours. Hong Kong is an eclectic mix of old and new, and a fun foray into the delights of Asia. It’s shamelessly barmy and a rollercoaster from start to finish. Just take a deep breath, dive right in, and prepare for the ride of your life! Experience the energy of Hong Kong for yourself with our flight deals from £496. Or, travel in style with Premium Economy fares from £1,025. Did you miss out on our exciting Hong Kong flash sale? Keep an eye out here for future flash sales!